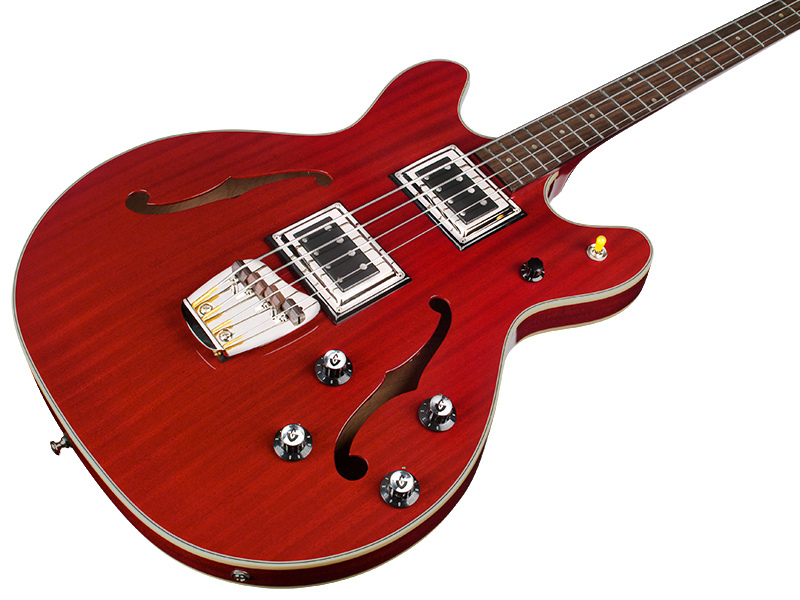 Guild's Starfire II Bass is a dual-pickup semi-hollow bass guitar that brings additional sonic options to one of Guild's most iconic models. The Star fire Bass II originally debuted in 1967, shortly after the single-pickup version, and quickly garnered a following that included Jack Casady (Jefferson Airplane) and Phil Lesh (Grateful Dead). The addition of the BiSonic BS-1 neck pickup on the Star fire Bass II gives bassists a warmer, smooth sound for added tonal flexibility. 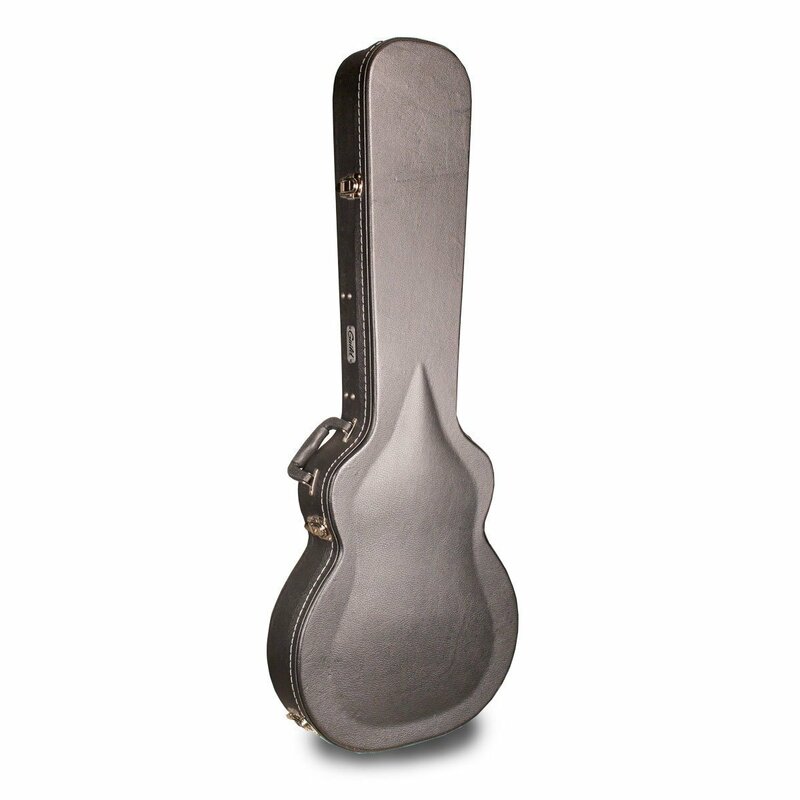 This double cutaway bass guitar features an arched laminate mahogany top and back, and mahogany sides, dual Guild BS-1 pickups, individual volume, tone, and master volume knobs, and a pickup selector switch. 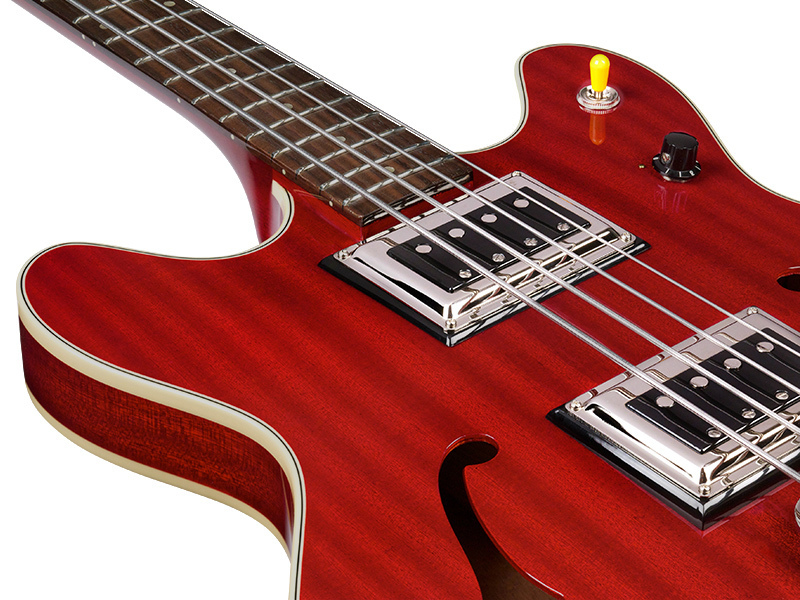 A clear, high gloss finish highlights this bass guitar's cherry redl mahogany beauty (Also available in Natural Mahogany). 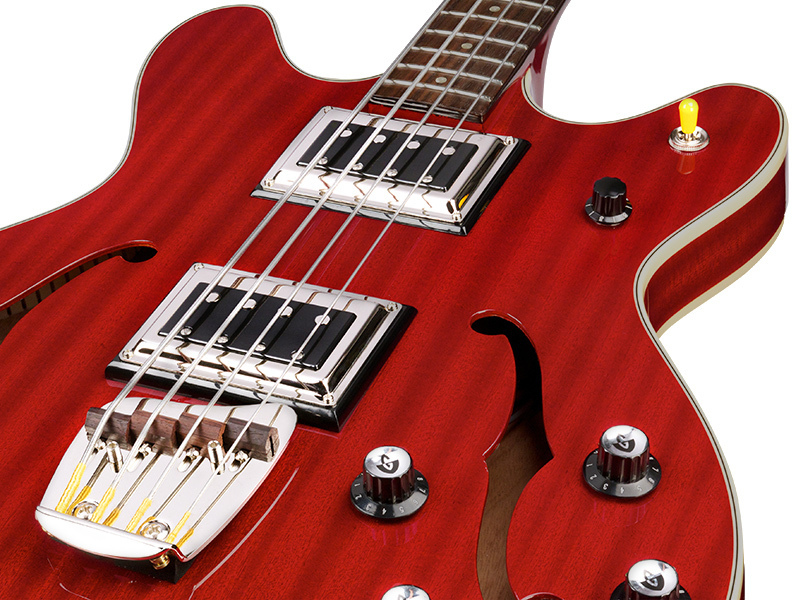 The Star fire Bass II brings Guild's vintage vibe to the modern bass player.